Children make up a wonderful part of our church family. And we strive to provide a safe and loving environment for kids to learn about God and to help them grow in their faith. 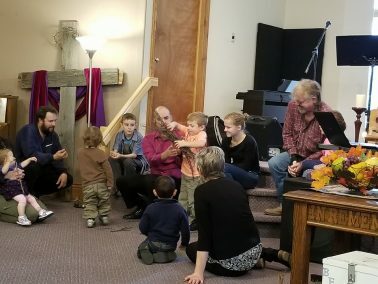 Here are some of the ways we are helping kids and their families to grow in their faith and to connect with others in the church. 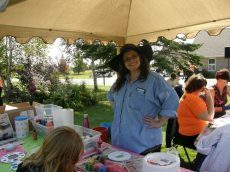 Nursery - Currently our nursery ministry is underdevelopment. We do have a wonderful nursery room for families to use. We are working at building up a volunteer team for this ministry. 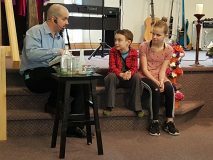 Kids' Corner - Each Sunday during our worship services Pastor Chris takes a few minutes to do an object lesson with the kids to help them learn about God and to grow in their own faith. Children's Church - Every other week between September and June we have a children's ministry program for ages 4 to 12. Children's Church is held right after Pastor Chris dismisses the children from Kid's Corner. 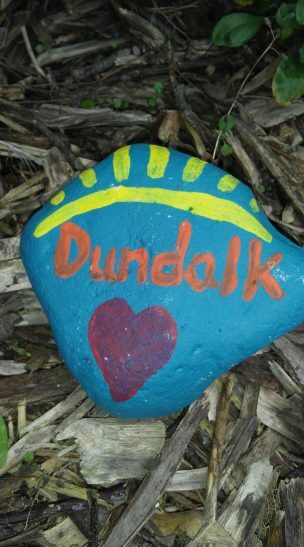 Impact - Dundalk Wesleyan Church's Youth Group. 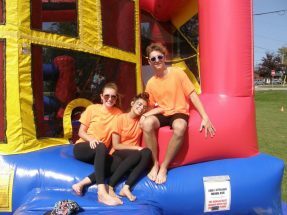 For older kids from grade 6 to 12 we have a wonderful youth group that they can enjoy and be a part of. Click here for more information about Impact. Here are a few pictures from various children / youth ministries. Kid’s Corner – Jesus invites us to bring our burdens to him. 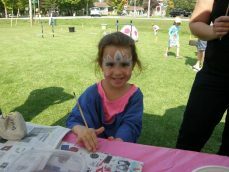 Family Fun Day – Painting rocks – Just one of the fun things the kids got to do. 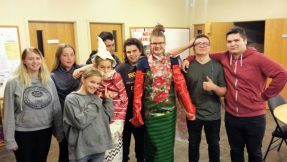 Youth Group – Having fun together. Youth Group – Sharing our lives with others is the best gift we can give someone. Kid’s Corner – We’re stronger together. Kid’s Corner – We need to practice self-control. If we don’t it can get messy. 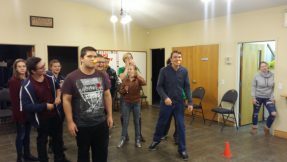 Youth Group – Building a strong foundation.